Posted on 01/10/2014 by Zoran A. 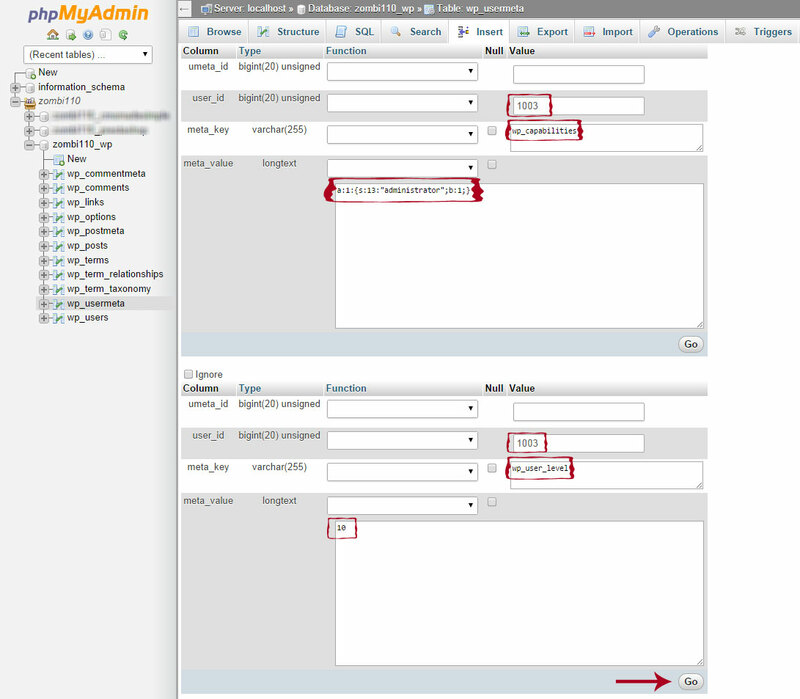 When you are unable to login to your Admin account at WordPress (your site got hacked or you simply forgot your password and/or username) it could be useful to create another account with admin privileges. We will show you how to do that in phpMyAdmin.